Bathroom Flooring trends you MUST know about! Considering a bathroom remodel? Why not start from the ground up and choose your bathroom flooring first? Long gone are the days of your grandmother's unsightly linoleum bathroom floors. The latest bathroom inspiration trends include sleek cement tile floors, vinyl plank flooring and wood-grain ceramic tile flooring. The best thing about these types of flooring is that they come in array of different shapes, sizes, textures and colors. 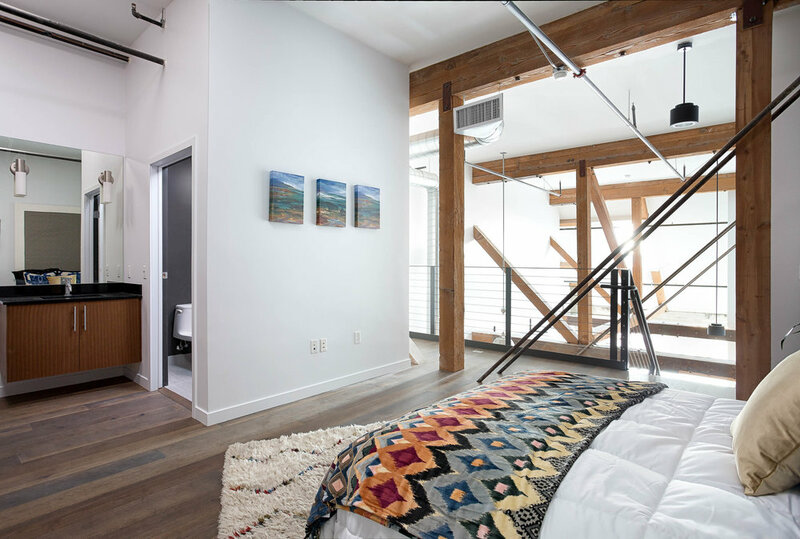 With so many options to choose from you might want to enlist the help of a Los Angeles remodel firm to point you in the right direction. In the meantime, check out a few of these bathroom flooring trends that are sure to kick off your bathroom remodel in the right direction. For the budget conscious homeowner, consider vinyl plank flooring for your bathroom remodel. For a fraction of the price that you would spend on stone or ceramic tiles, you can have an equally beautiful bathroom floor without sacrificing quality. This type of bathroom flooring is waterproof and can be laid right over your existing flooring. If you’ve chosen to go with a Los Angeles remodel firm, they will be able to help you choose the best method of installation for your new bathroom flooring. Another huge plus for vinyl plank flooring is that it comes in virtually any color, ranging from dark espressos to light greys and tans. Cement tile floors make for a stunning addition to any bathroom remodel. They come in a variety of colors and patterns that allow you to get creative with your bathroom flooring. Cement tile floors look great in almost any bathroom remodel design theme including modern, retro and Spanish style bathroom themes. This type of bathroom flooring is very durable, and it isn’t uncommon to see original cement tile floors in houses 100+ years old! However, if you want to get this type of longevity out of your new bathroom flooring it is highly recommended that you go with a Los Angeles remodel firm. This is one part of your bathroom remodel you won’t want to skimp out on! Considering the amount of traffic the bathroom floor gets every day...it is 100% worth investing in a professional installation. Love the look of hardwood floors but can’t see the material being the best fit for a bathroom? Why not choose a wood-grain ceramic tile? You will get the beauty and texture of real hardwood floors with added durability (great for those occasional water spills!). Wood-grain ceramic tiles come in a multitude of different colors and textures that will mesh perfectly with the rest of your bathroom remodel. For a unique look, choose to have these tiles installed in a chevron or herringbone pattern. A Los Angeles remodel firm will be able to help you pick out a pattern for your tile installation. Still not sure what type of bathroom flooring would be the best fit for your remodel? 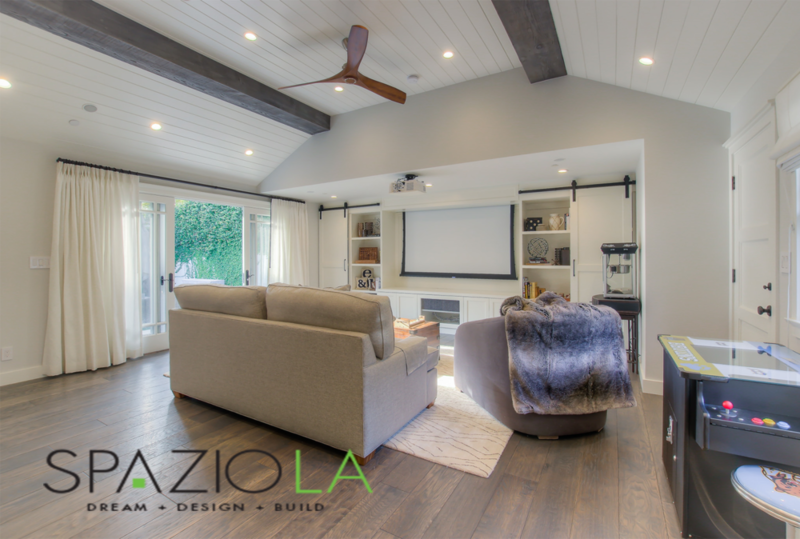 Get in touch with a Los Angeles remodel firm and let the professionals handle the design and installation work for you. Tricky ways to save money on your kitchen remodel Kitchen design and planning is a daunting task. We often know the look we want, but many times our budgets aren't as large as our wish lists are long. But that doesn't mean we can't have a remarkable kitchen remodel— we just have to get smart. Reach into the designer inspired bag of tricks for savvy ways to get full-on style with a much smaller price tag. Get the kitchen you have always wanted without going broke. Problem is you found the most amazing tile for your kitchen backsplash and its way over your budget. One tricky way to save money on your kitchen remodel is to use that amazing tile, as an accent to another complimentary, lower priced tile. This way you are getting to save money while still going with your desired style. Try using the expensive tile in a pattern above your range or as a trim to your backsplash. When is a backsplash not just a backsplash? With a little attention to detail, you can take your backsplash from a run-of-the-mill design feature to the focal point of the whole room. Illumination is key to adorning interior spaces. Proper kitchen design necessitates well-lit areas to allow you to conveniently work in the kitchen. As a result, ample natural light inside the kitchen space is indispensable. Designer lighting can be expensive, and sometimes the splurge is not feasible. Try looking for faux luxe lighting or resale shops; you can generally find affordable lighting that looks just like designer décor and no one will know. Looking for décor steals? Try World Market and Home Goods. That hardwood caught your eye in your home décor magazine? If hardwood is a must, but would bust your budget you must try Vinyl Plank Flooring. VPF looks like genuine hardwood although is over half the cost. A variety of desirable characteristics continue to make this versatile flooring material a popular option to this day. The colors and pattern options that are available with vinyl flooring are nearly endless, and the maintenance is simple. Bathroom Remodel: The Shower and Tub Debate When it comes to a bathroom remodel, many home owners often find they are debating whether or not to add in a shower and tub combo, a simple shower or just a tub. This is a debate that can cause problems in many homes due to differing opinions on the matter. Often times, it is best to leave the decision making up to the experts so that the work is completed and hopefully the home owners enjoy the new space, no matter which was added! Read on to see the pros and cons of each option to help you make the best decision for your bathroom remodel. Depending on your bathroom space, you probably already have a shower/tub combo. For most homes, this is the standard installation provided. For newer homes, some contractors opt to provide a shower only or a bathtub with no shower combo. This is a personal preference for the home owner and is something to consider. For resale value, it is better to have a shower/tub combo as that is what home owners are looking for in general. However, if you are remodeling your master bathroom, you do have the option to go with a separate shower and no tub. Perhaps you do not take baths or could use the main bathroom as an area for enjoying a soak every now and then. It is also important to consider the size of the space. In larger bathrooms, a standalone shower can be added along with a bathtub, just separately. If the bathroom is small, then a shower may be your only option. When remodeling your bathroom, you will need to narrow down your choices by asking yourself a few questions. Think about how your bathroom is to begin with. Do you only have a shower? Could you make room for a tub? Do you like to take baths more than showers or do you want the option to do both? Consult with a Los Angeles remodeling contractor to see what you can do with the space you have. There may be enough room to add in a standalone shower with tile work and a tub in a separate area or you may just need to have a small standing shower and toilet area. A contractor will be able to look at the space and configure the room so that it will work seamlessly. Ideas that you may have never thought of easily come to mind with a contractor. Take a look at plans provided to see how you can change up your bathroom and once work begins, you will soon have a brand new space to enjoy and relax in for years to come. When considering a major remodel, always consult with a contractor. You want to work with individuals who have experience in bathroom remodels. Never try to tackle a project on your own or at least without consulting a professional first. You can easily get in over your head and end up spending more money, time and have a headache from the effort needed. Start the project off right by consulting with a professional to have a space you can enjoy and be proud of. Affordable Bathroom Remodel Design Ideas for Your Home When it comes to bathroom remodeling, there is so much that you can do that costs very little. With simple changes, you can make your bathroom into a brand new space, an oasis where you can relax and unwind at the end of the day. Take one or more of the suggestions below and put them to work in your bathroom to have a nice place to relax as you finish the work day. Paint can go a long way and is something you can do to change the look of the room for very little money. By simply taking a new paint color and applying it to your walls, you have a fresh color scheme that can be relaxing or bold, whatever you like! Find a color that speaks to you and apply it to your bathroom walls. Add new accent pieces in a varying color for a unique look. If your bathroom is painted in a neutral tone, you can simply purchase new decorative touches to change the look of the space. A new shower curtain, window treatments and other décor items are affordable to purchase and when you go with a completely new color scheme, the bathroom will take on an entirely new look for very little money. 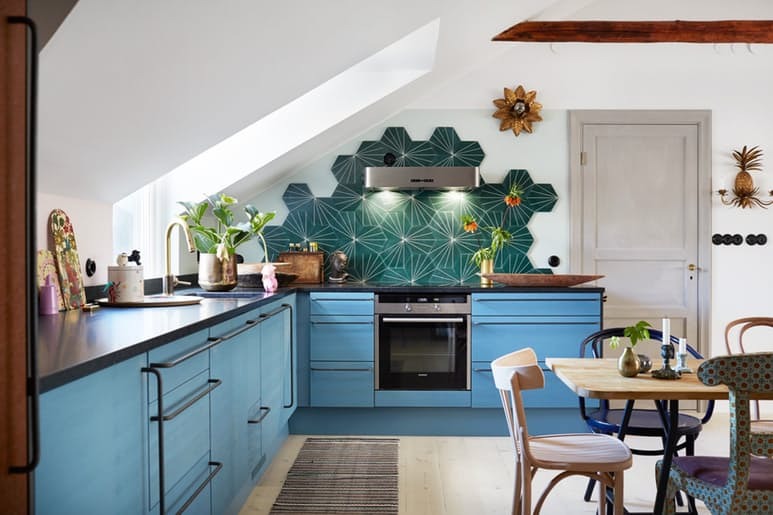 By making these simple changes, it will seem like you have spent a lot of money but you really only did a few minor changes to get the new look. 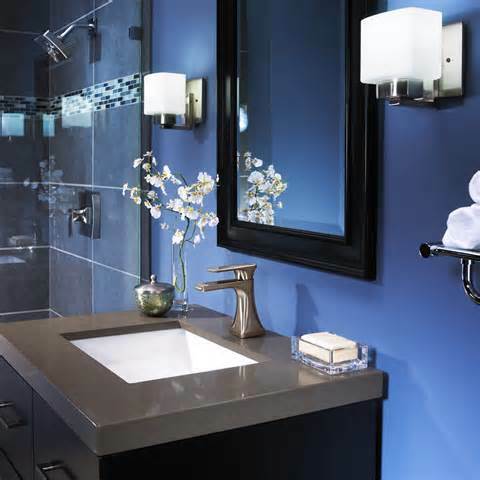 Another great way to continue with bathroom remodeling is to change out the light fixtures of the space. Depending on how large your bathroom is or how many bathrooms you have in your home, you may need to change out several fixtures. Many older homes have outdate lighting that once replaced, breathes life back into the space. If you lack lighting experience, hire a Los Angeles remodeling contractor to do the job for you. After the new light fixtures have been added, you will be surprised at how different the space looks and feels. If you have the time and money, it can be worth the effort to consider a full bathroom remodel. 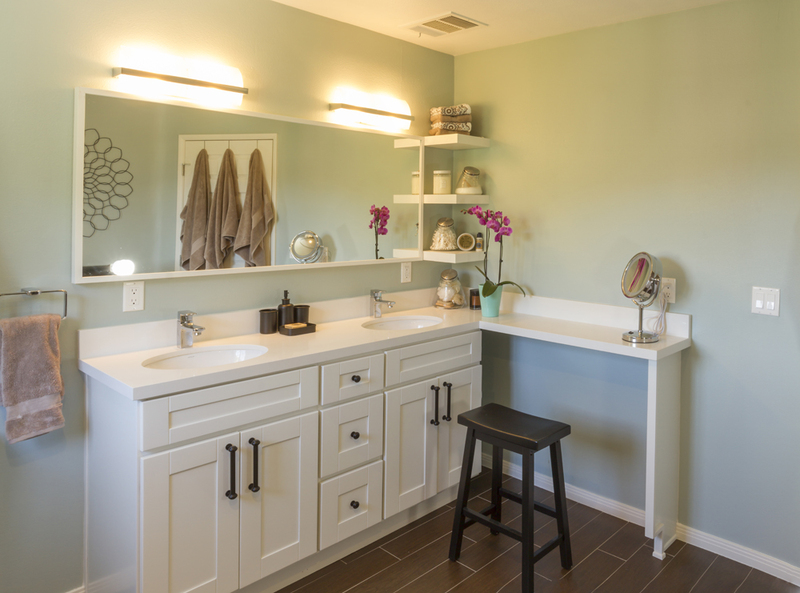 By changing out old vanities and sinks, showers and tubs as well as lighting and décor, you can have a completely new bathroom with a new look and feel. This of course will be a great deal of work and you will need some help. Trying to tackle a full remodel with little to no experience can lead to trouble. By hiring a Los Angeles remodeling company, you will be able to have a team on hand who know just what to do and can bring new life to your bathroom space. Overall, any change you do to the bathroom will help you to have a new space to enjoy in your home. Start with simple changes and work your way up to major remodeling projects in order to completely redo the space and enjoy a new bathroom in your home. Wouldn't it be nice to be able to get away and treat ourselves to a spa day, like every day of the week? Well, if that dream is a bit out of your reach for financial or practical reasons, there are a few things you can do to your current bathroom to give it that spa feel. Most Los Angeles remodeling contractors will tell you the same thing, creating a spa bathroom of your dreams are practical and more affordable than daily trips to the local spa. Modern design and technology makes getting your own spa bathroom very possible. Here are the basic must haves in order to really have the spa bathroom you desire. Many tubs are made deeper than previous models for prolonged soaking and resting. If this idea catches your attention, consider adding a stylish grab bar preventing unnecessary slips when entering or exiting. Along with these separate soaking tubs comes a growing request for shelves and spaces to place candles, decorative plants and handy baskets of towels and pampering lotions. Incorporating a TV in the bathroom for viewing from the tub is another amenity that is well liked and asked for more and more. 2. Steam room and Luxury Shower. No more quick showers with this spa-like feature in your master bath. With added space and multiple shower heads and built in bench, this becomes the ultimate way to pamper you. Also, adding in glass panels and doors will help create an open and more spacious feel to the space. 3. Entertainment system with TV. With the other features of your spa-like bathroom, it is obvious that you will be spending more time in the space. Adding flat screen TVs and stereos in bathrooms is becoming more and more popular as homeowners are creating their ultimate oasis to soak away the day. We’ve even seen small refrigeration units installed to have cold beverages readily available! Spas use neutral shades to keep the feeling of the room peaceful and relaxing. When introducing new colors, stick to neutral and earthy tones. Try using whites and light blue shades for a modern feel and light greens and wood for an earthier vibe. 5. Heated floors and a heated towel rack. Every spa has those warm, cozy robes and towels – why not mock the idea and have a heated towel rack installed so that you never have to endure a cold towel again. And why go through the inconvenience of stepping onto cold bathroom tile floors when you can have heated floors? Not only do they welcome bare feet but they make it easy to step out of the shower without getting chilled after you relaxed. Remodeling your bathroom can be an exciting and stressful experience like any remodel. Wouldn’t it be nice if you could approach your project with the knowledge of the most experienced remodeling company? Here you can get that confidence to hire great home improvement professionals, and avoid suffering a bad remodel job. Those horror stories about contractors leaving a house torn open and taking the homeowner's money...they don't have to be your story. Who is the company, where is their location and what is their direct phone number? This information allows you to get a real insider look the professional once you’re off the phone. This can be done by viewing their profile on reviews pages and by searching for information on other sites like BBB and their social sites. Are you and your subcontractors licensed, bonded and insured? The answer to this question should be yes! You need to know that you are in good hands, and that this isn’t a scam company that will leave you helpless after they get your money. When would you be able to start a project and finish it? This is good information to see how available they are and as to how long you can expect them to have your home in remodel mode. Would you be able to provide references for previous clients? If a professional cannot provide any references for clients, it is a bad sign. You want to see and hear from past clients that love their remodel and can give an honest review of the entire process working with the contractor – from consult, to design, to build. Also be sure to check their design pictured to be sure that your style could be recreated by the company. If they are not used to designing a style that matters to you, you may need to rethink whom to go with. Now that you have the basics covered and know about your contractor, you need to know yourself. Have you saved up money for this bathroom remodel, or are you going to need financing assistance? Unless you are fortunate enough to be able to pay for the project out of pocket, you will now need to look into financing option. Luckily for you, Spazio LA works with the HERO program to make eco-friendly remodels affordable for everyone. Contact us to hear more about the program and other financing options! 9 Tips to revamp without a remodel Maybe you don’t have the budget to fix up your guest bathroom, or maybe you are just trying to save that budget – either way you came here because you want ideas to revamp without a remodel. Even without a bathroom remodel, there are still plenty of things you can do to make your bathroom a new sight to see. Here are nine ideas to spruce up that guest bathroom that gets no love. 1. Paint your bathroom a bold color. For the cost of a can of paint, you can take your bathroom from boring to energizing. With a little elbow grease of course. You would be surprised how much a new paint color can really make a difference and create an almost remodeled appearance. 2. Transform your space with textiles. Beautiful towels don't have to cost a lot of money, and displayed prominently, they can really change the look of a space. Add funky towel holders that aren’t the typical ones you see in bathrooms. A boldly patterned shower curtain can also make a big difference! 3. Add an unexpected rug. Try an oriental or fancy rug in the bathroom, because why not? No one said you must to stick with basic bathroom mats. Change it up! Check out DIY river rock mats for the bathroom for a taste of nature in your bathroom. 4. Add some shelves into the empty spaces. Add decorated shelves for extra storage space, and a little architectural interest, too. If you have no extra space for shelves, pick up a wheeled storage cart. 5. Work some wallpaper into your bathroom. Not cheap, but cheaper than remodeling – wallpaper can really change your bathroom. And if you pick really crazy prints or textured wallpaper, people won't be looking at much else. 6. Add a little art. Nothing transforms a bathroom like a little art or custom decor. Just save your precious pieces for spaces with a little less humidity. 7. Paint the ceiling. Painting the ceiling makes for an unexpected, dramatic look, and draws the eye upward. You can even get ceiling tiles for that antique look! 8. Pick out interesting fixtures in bright colors. Your necessities don’t have to be boring; you can supplement your basic colors for cheerful colors and prints. Try painting your fixtures an unexpected color – for instance mustard yellow! 9. Add a statement mirror. An interesting mirror is sure to draw the eye — and brighten up the room as well. Without breaking the bank you can find a second hand antique mirror or even try framing your current mirror to save money. Everyone has heard the kitchen remodel horror stories about some contractor whom skips town with your money, or a contractor whom leaves your kitchen a huge, unworkable mess because a product is on back order. Let’s avoid those horror stories and get your kitchen remodel done the right way. 1. Don’t go with the first remodeling company you see online. This goes for the first company offering a big discount. Some companies can offer a savings if you sign up with them right on the spot. Avoid letting pushy tactics get you to sign a contract without much thought or research. Ask lots of questions, read reviews and ask for references. A remodel company’s work should speak for itself. If the reviews are reading the same thing over and over, describing poor quality and such forth, then you may need to pass on that company. 2. Don’t pay for the entire project until the entire project is completed. Most projects will require you to make a significant down payment. This is normal since the contractor has to place orders for products that are designed specifically for your kitchen. If you decided to withdraw from the project, the down payment is their financial safety net. However, you deserve a safety net too. It is good policy to always leave a portion outstanding until the kitchen is finished. 10% is pretty typical. If you have a problem giving your contractor a down payment, then you don’t trust them. If you feel your contractor is untrustworthy, it’s time for a new one. You should always be able to trust your contractor. They’re the one that will be in your home and making big changes. 3. Don’t stress yourself out if the project gets set back a few days. Think of the end result and how you will enjoy this kitchen remodel for a good amount of years, a few days off schedule will be OK. Projects will have draw backs and there will be things that come up and change plans. You will need to roll with the punches so to say, and trust your remodel team has everything under control. 4. Don’t expect a working kitchen until the project’s done unless otherwise stated. Make arrangements so you won’t need one. Cabinet refacing does not shut down your kitchen, but new countertops in addition to refacing will. You will probably be without running water and a sink for a day or two. New kitchens are shut down on day one, as soon as the old cabinets are torn out. Depending on the countertop chosen, you’re typically looking at 2-4 weeks before you have a fully functional kitchen again. 5. Don’t start your remodel before you’ve chosen your appliances. Make sure you have the specs in the contractors’ hands prior to cabinets being ordered. That way they can arrange a better fit for the appliance into the cabinets. This applies especially to wall ovens, built in microwaves, cook tops, and large refrigerators. Transform your home with the trends Keeping up with interior design trends is no easy task. When this requires a serious financial investment most of us prefer to ignore them. What if there were easy ways to transform the look of your home without having to replace the furniture? We offer you some simple home design transformations following recent trends in the world of interior design. The kitchen is often the most expensive to redesign. Because of this kitchen cabinets are the oldest pieces of furniture in many homes. Don’t worry! You can transform your kitchen cabinets by just putting a fresh coat of paint in the colors that are on trend now. The biggest design hit these days is painting the lower and upper cabinets in two different colors. The most popular is grey for the lower and white for the upper cabinets. You can pick from different shades of grey for the lower cabinets, ranging from very dark to very light. This stylish and timeless color scheme will add glamour to your kitchen. Opt for a colorful Persian rug instead of a bathroom mat. Bathrooms can feel somewhat sterile and adding a pop of color is a simple solution. Persian rugs are a hot trend at the moment. They are very graphic and colorful and they are often enough to transform the look of an entire room. They work well in the bathroom and make a perfect accent item. Mixing furniture and other design elements from different decades or even centuries is very on trend. For example you can mix ultra modern furniture with old vintage dressers and chairs. This brings an eclectic feel to living spaces. You would want to make your home to look like there are layers of history in it and this is easy to achieve by adding some antique pieces. Think again before you throw away old furniture! One of the hottest interior design trends of 2016 is bathrooms that feel like living spaces. 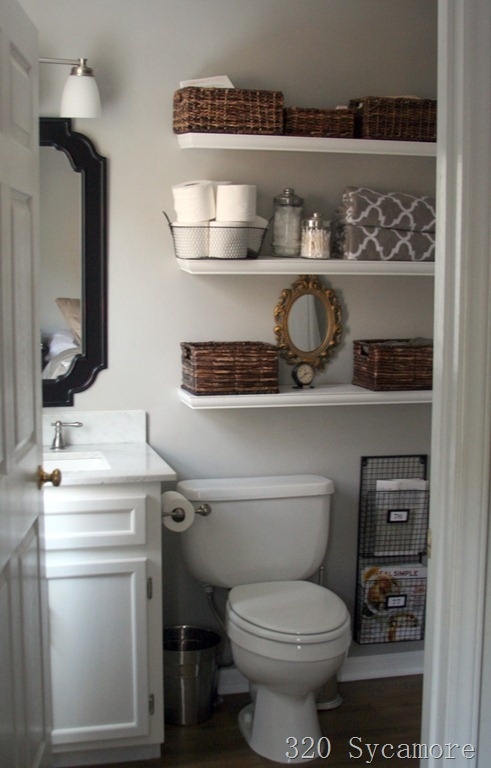 There are several tips and tricks you can follow to achieve that cozy bathroom feel. Add a seating area in the bathroom or just a comfortable armchair. You can also add furniture with more shelving. Plants are also a good way to make the bathroom look more like your living room.